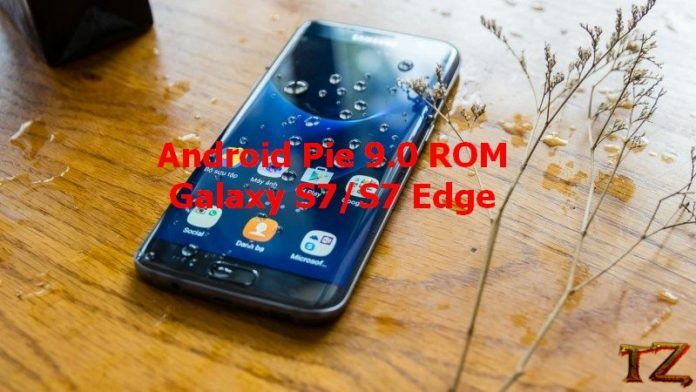 It’s pity for all Samsung Galaxy S7 and S7 Edge users when Samsung will not release the official Android Pie update for all of them. However, it does not mean the Galaxy S7/S7 Edge cannot experience the latest Android version on their phone. If you are using a Galaxy S7/S7 Edge and are eager to experience the latest Android version on your phone, then this post would like to share you the new LineageOS 16.0 based on Android Pie for Samsung Galaxy S7/S7 Edge. Simply follow this post to download and install it on your phone. Since it’s a custom ROM, so you need to install a TWRP 3-2-3 recovery installed on your S7/S7 Edge. Keep your phone battery at least 50% so the process can be successful. Once done, let’s start installing Android Pie 9.0 ROM on Samsung Galaxy S7/S7 Edge. Download Opengapps: Link (ARM64-9.0). Also, save it in the root folder of your phone internal storage. Boot your Galaxy S7/S7 Edge into TWRP recovery mode. To do so, press and hold Power + Home + Volume Up buttons at once until you see TWRP recovery screen. Reboot your phone and enjoy it.